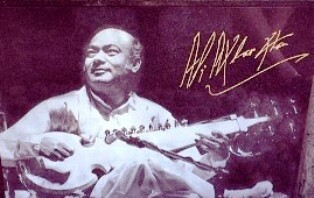 Ali Akbar Khan (14 April 1922–18 June 2009) was a Hindustani classical musician of the Maihar gharana, known for his virtuosity in playing the sarod. Trained as a classical musician and instrumentalist by his father, Acharya Baba Allauddin Khan. 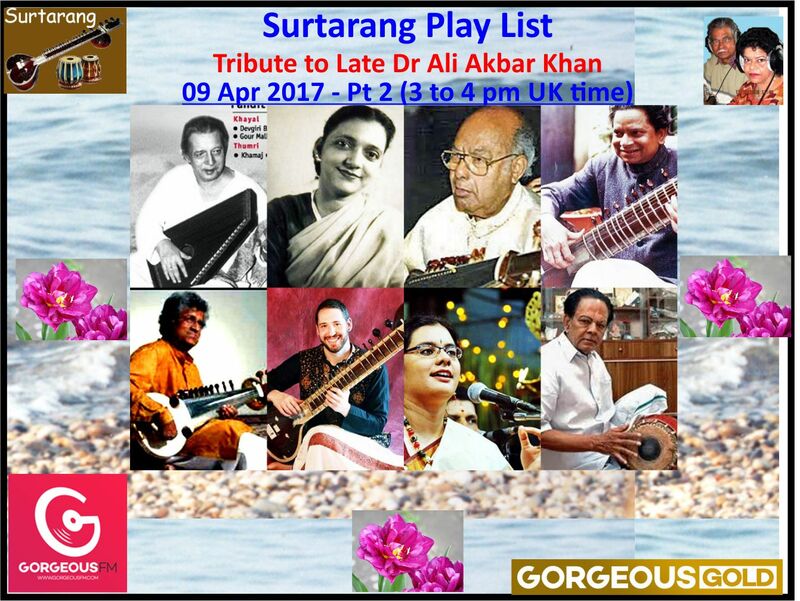 Ali Akbar Khan Shaheb also composed several classical ragas and film scores. 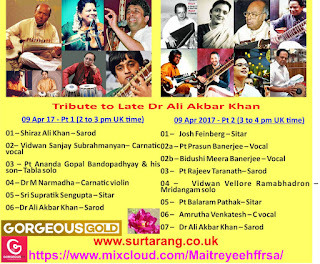 Khan Shaheb established a music school in Calcutta in 1956, and the Ali Akbar College of Music in 1967; which moved with him to the USA and is now based in San Rafael, California, with a branch in Basel, Switzerland. 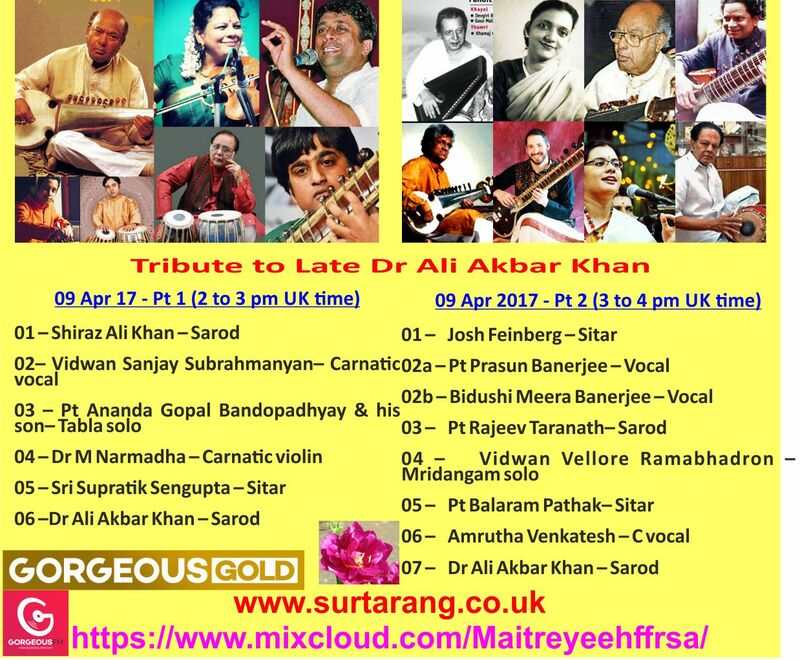 Khan Shaheb was instrumental in popularising Indian classical music in the West, both as a performer and as a teacher. He first came to America in 1955 on the invitation of violinist Yehudi Menuhin and later settled in California. He was a Distinguished Adjunct Professor of Music at the University of California, Santa Cruz. Khan Shaheb was accorded India's second highest civilian honour, the Padma Vibhushan, in 1989. 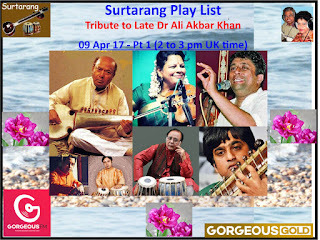 Nominated five times for the Grammy Award, Khan Shaheb was a recipient of the MacArthur Fellowship and the National Endowment for the Arts' National Heritage Fellowship. 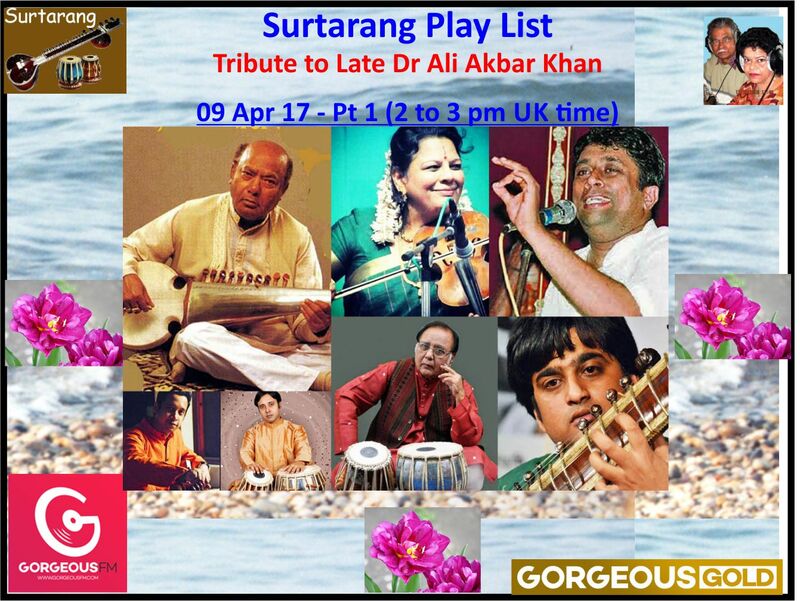 Surtarang is ready to pay rich tribute to this legend of Indian music. the son of late Prof. Dhyanesh Khan. 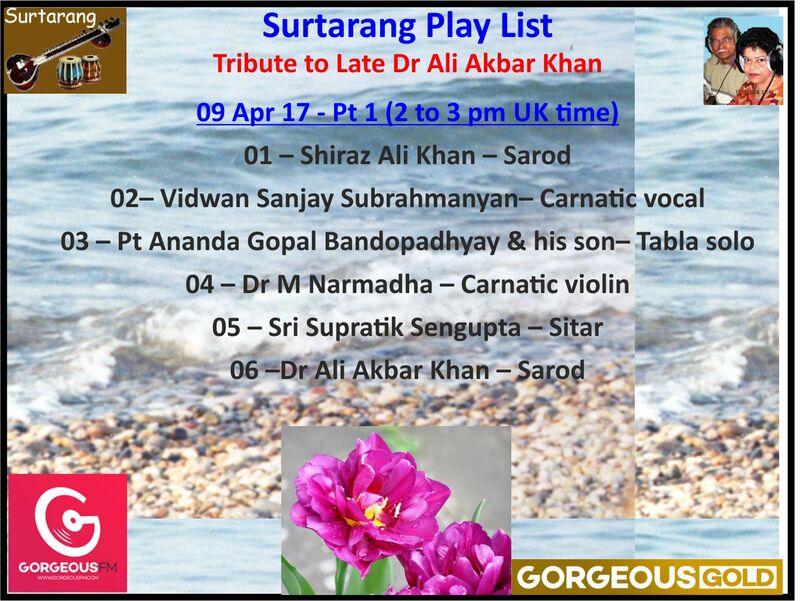 BY ANY CONNOISSEURS OF INDIAN CLASSICAL MUSIC!!! 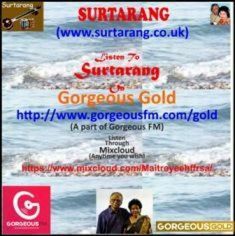 Surtarang is a unique broadcast in the UK. It is online, on mobile & on Mixcloud. 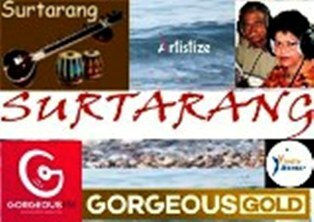 It is on "Brihaspati - the First Bangla Web Magazine of Mumbai, India." Brihaspati’ has been our Publicity Associate since 16 Apr ‘15. ‘LEGENDS OF INDIA’, NEW DELHI HAS BEEN OUR CULTURAL PARTNER SINCE 6.12.’15 & IWCF, NEW DELHI HAS BEEN OUR CULTURAL PARTNER SINCE 13.7.’13. If you would like to read my posts, pls visit my LinkedIn Profile. Twitter: @maitreyeehffrsa & via Google+: +Maitreyee.